Legacy believes that treatments for non-life threatening chronic disorders, in addition to being effective, need to have no side effects. Treatments based on non-synthesized botanical extract are generally safe and generate no side-effects, making them perfectly suitable to achieve the aforesaid goal. In line with the above, the US FDA and European EMA have released guidelines in 2004 enabling the development and registration of botanical-based drugs, not only traditional remedies, but also novel botanical-based actives. We therefore focus on looking into nature to identify new botanical-based actives and we put them through our research to develop safe and effective health solutions, making the best possible use of nature’s legacy. 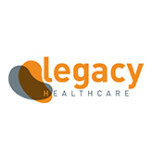 The first product Legacy Healthcare has developed addresses male and female alopecia (hair-loss), a non-life threatening chronic disorder affecting millions of people worldwide. This first product (CG210) is now on the market, through Legacy’s commercial partners Nestlé Skin Health/Galderma and Abbott. More recently, Legacy has embarked in the development of the first topical treatment for chemotherapy induced alopecia and persistent chemotherapy induced alopecia, two side-effects of cancer treatments which affect over 3m people every year. Other developments are being explored.